Mon Ami Gabi: This Parisian-style bistro is directly across the Strip from the Bellagio’s fountains, so you get a spectacular show every half-hour. The gluten-free menu was just as impressive to me, and I ate at the restaurant twice: once for dinner (with decadently cheesy French onion soup and lovely steak frites) and once for lunch (for a savory burger with a gluten-free bun… and more frites). Every gluten-free guest is automatically served warm GF bread, which was a delight (that was something Mon Ami Gabi didn’t offer the last time I was in Vegas, in 2009). 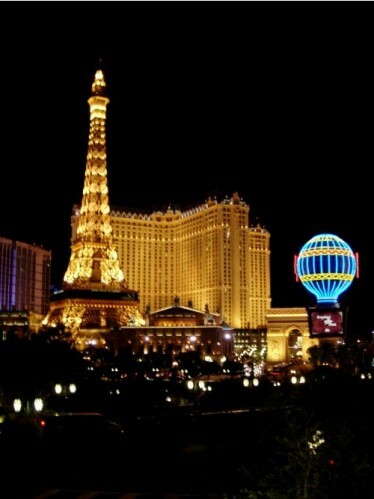 In Paris Resort & Casino [address] 3655 Las Vegas Blvd. South [tel] 702-944-4224. Border Grill: Located at the south end of the Strip, this restaurant also offers a separate gluten-free menu. The dishes are on the heavy side, but you didn’t come to Vegas for health reasons, did you? The queso fundido was served up as a starter, but it almost made an entire meal, with its gooey mix of melted manchego, panela, asadero, and Oaxacan string cheeses, served with chorizo and roasted poblano peppers. Don’t ask me how, but I still found room for the Kobe beef tacos, too. In Mandalay Bay Resort and Casino [address] 3950 Las Vegas Blvd. South [tel] 702-632-7403. Bartolotta Ristorante di Mare: Located at the Wynn, this was a break-the-bank kind of meal, but the incredible fish is worth it (the “catch of the day” is literally flown in fresh each day). On the phone, I was told there was a gluten-free menu, but I was disappointed when I first saw it, because what I saw was a small booklet with all of 10 dishes listed inside. However, that turned out to be simply a list of the plates that are naturally gluten-free, and the chef was happy to modify almost anything on the menu to make it celiac-safe. The restaurant overlooks a private lagoon, making for an exceptionally romantic setting, too. In Wynn Las Vegas [address] 3131 Las Vegas Blvd. South [tel] 702-770-3463. Aria Buffet: I’m a little afraid of buffets, to tell you the truth. There’s so often a risk of accidental cross-contamination — all it takes is for a careless guest to use the same serving tongs on a mix of gluten-full and gluten-free different dishes to ruin the latter ones. That’s why the Aria was such a pleasant surprise. I was there for brunch, and the fresh omelette station was a welcome find. Overall, the buffet was well organized, so that fruit salad was far away from cereals, lessening the risk of cross-contamination. 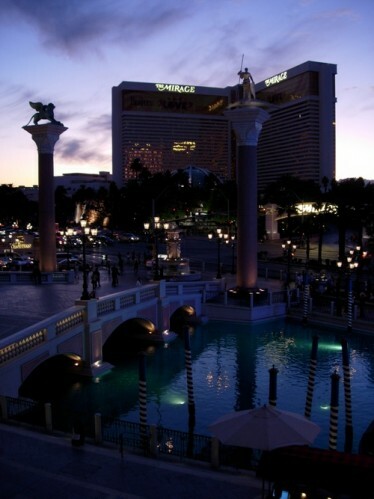 Located in the Aria [address] 3730 Las Vegas Blvd. South [tel] 877-230-2742. P.F. Chang’s: I’m still wishing a P.F. Chang’s would open in Manhattan. The restaurant has an Asian-inspired gluten-free menu with plenty of choice for starters and mains, and two options for dessert: rich chocolate mousse or a dark-chocolate-and-raspberry cake. Located in Planet Hollywood [address] 3667 Las Vegas Blvd. South [tel] 702-836-0955. I have book news: my debut novel, The Damage Done, is now out in paperback in the U.S. and Canada! You can see its beautiful new cover, watch a video interview with me about the book, and enter a contest for a signed copy. My second novel, The Next One to Fall, will be released on Valentine’s Day 2012. It’s a murder mystery set in Peru, and it’s already getting wonderful reviews. There’s a special contest for people who pre-order the book, and for every copy that is ordered before the release date, I’m donating a dollar to Heifer. I’m also planning a book tour that will take me back to Houston, Phoenix/Scottsdale, Los Angeles, and San Francisco, and that will introduce me to Austin, Denver, and San Diego. Hope to see you while I’m on the road! While I was in Las Vegas last November, I was struck by the number of options that are now available to the gluten-intolerant. Almost every restaurant I contacted was able to accommodate me. Some, like Mon Ami Gabi (in Paris) and Border Grill (in Mandalay Bay), had dedicated gluten-free menus. 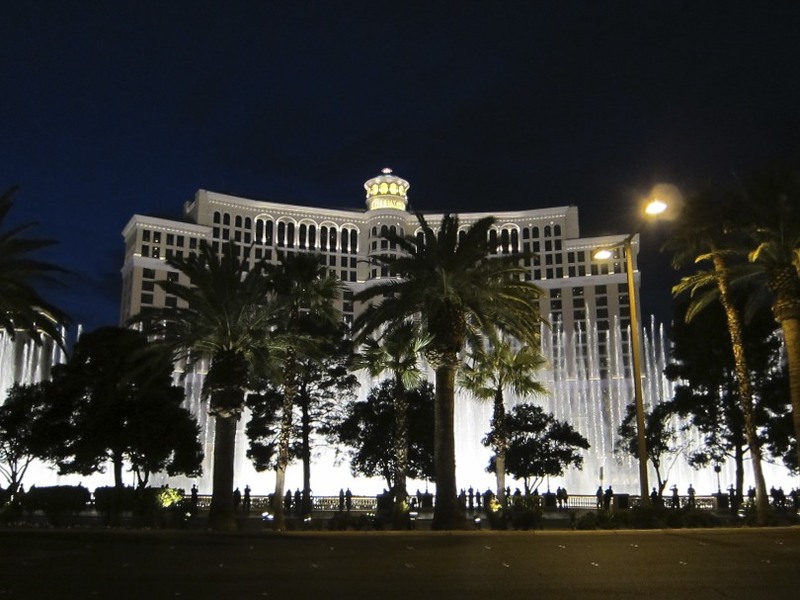 Others, such as Bradley Ogden (in Caesar’s Palace) and Michael Mina (in Bellagio) were incredibly helpful and aware, and willing to make almost anything on the menu in a celiac-safe version. But those weren’t the only restaurants where I could dine safely. There were the chain restaurants, too. One of the best things about the increasing popularity of the gluten-free diet is that it’s becoming more affordable. That’s not to say that specialty groceries have come down in price, but when a fast-food chain like Chipotle offers gluten-free options, it makes it possible for a gluten-intolerant person to get a quick meal out without paying a premium for it. The chains hit a variety of price points, but, speaking generally, they’re affordable and accessible to most people. Here are some of the spots you’ll find on the Strip. There are other chains to consider, such as Pei Wei Asian Diner, which has a gluten-free menu but not a location on the Strip. 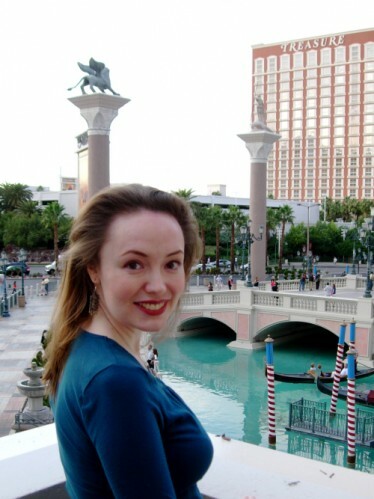 For more ideas about where to eat in Las Vegas, visit Celiac Handbook and Gluten-Free Maps. I haven’t visited Las Vegas since being diagnosed with celiac disease, but fortunately one of the Gluten-Free Guidebook’s readers has. Elena is a member of the Bi-State Celiac Support Group, which serves St. Louis, Missouri, and Belleville, Illinois. 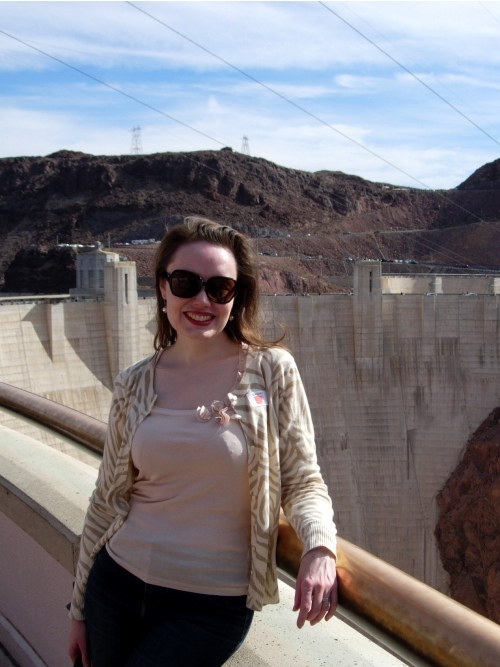 She spent some time in Las Vegas earlier this year, and this is what she had to say about what she found there. Thanks so much for sharing this, Elena! I had dinner at Le Provencal in Paris. I talked to the manager before entering (I didn’t have a reservation) — apparently they get the gluten-free request a lot. The server had several options for me and I chose seafood, which was very good. I felt confident there. If you catch them at the right time there are singing waiters performing. I had brunch at Pinot Brasserie in the Venetian. The server was unfamiliar with gluten-free, but I gave him my Triumph Dining card and he went back and spoke to the chef. It appeared the chef was aware because the server came back quickly with some options for me. I had the steak and eggs and it was wonderful. My favorite restaurant of the weekend was Tao in the Venetian. My friends really wanted to go there but I was apprehensive, because the only gluten-free Las Vegas review I could find on the internet was a very negative one about this place. So, not to let my friends down, I called the restaurant and talked to a chef. He assured me that they had many choices for me. He also told me to use the word “allergy” when I talked to my server. That seems to be the trigger word. I made a reservation (which is necessary) and they noted on the reservation that I was gluten-free. When I got there, the waiter brought out a list of gluten-free options (the list also mentioned alterations to make menu items gluten-free). On a side note, he also had a list of common allergens (wheat, soy, egg, fish, etc) and the available menu choices. The waiter took the time to answer my questions and made sure I was taken care of. It seems they have a really good system there. Who knows, maybe it went into effect after the previously mentioned bad review. The food was outstanding! The day we spent walking the Strip and checking out the new hotels was the most difficult in terms of finding something to eat. We went to the Miracle Mile shopping center for lunch, but I couldn’t eat at Cheeseburger Vegas or Blondies. They both told me straight up that they wouldn’t be able to figure anything out… everything uses the same grill, burger meat has wheat in it, etc. That day we ended up having lunch at P.F. Chang’s.